Baumalight’s diverse product lineup is matched to 3 different motor offerings depending on what level of performance you want out of each product. This webpage will help you understand the differences between them and the benefits of each for your application. 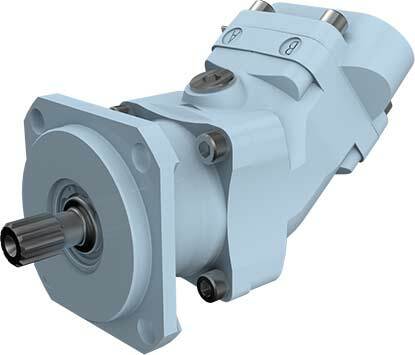 All hydraulic motors have common design features which include a driving surface area subject to pressure differential, a way of timing the porting of pressure fluid to the pressure surface to achieve continuous rotation and a mechanical connection between the surface area and an output shaft. 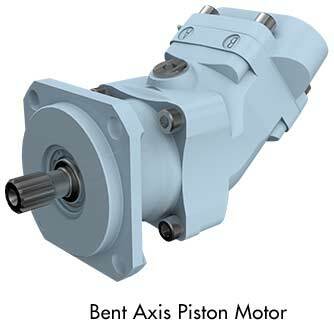 The ability of the pressure surfaces to withstand force, the leakage characteristics of each type of motor, and the efficiency of the method used to link the pressure surface and the output shaft determine the maximum performance of a motor in terms of pressure, flow speed and service life etc. The application of the hydraulic motor generally dictates the required horsepower and motor speed range, although the actual speed and torque required may sometimes be varied while maintaining the required horsepower. 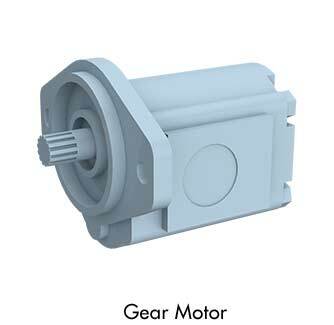 The type of motor selected depends on the required reliability, life, and performance. 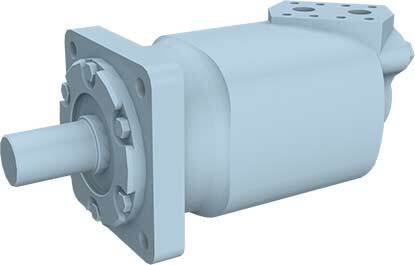 Consists of a pair of matched gears enclosed in one housing and driven by pressure fluid. One gear connects to an output shaft, while the other is an idler. Pressure fluid enters the housing at a point where the gears mesh and forces the gears to rotate and follow the path of least resistance around the periphery of the housing. The fluid then exits at low pressure at the opposite side of the motor. 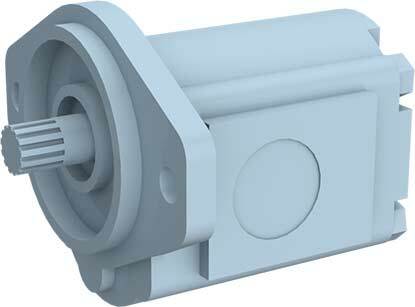 Close tolerances between gears and housing help control fluid leakage and increase volumetric efficiency. 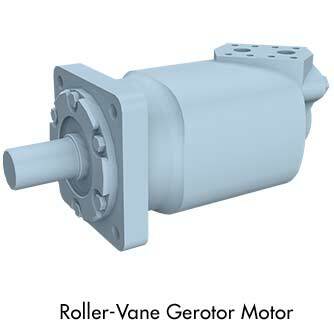 A variation of the orbiting gerotor motor that has a stator with a moving rotor. Instead of being held by two journal bearings, the eccentric arm of the planetary is held by the meshing of the six-tooth rotor and seven-socket stator. Instead of direct contact between the stator and rotor, roller vanes are incorporated to form the displacement chambers. The roller vanes reduce wear, enabling the motors to be used in closed-loop for long service life. Developing torque through a reaction to pressure reciprocating pistons this latest motor design has the cylinder block and driveshaft mounted on an angle which produces a reaction against the drive-shaft flange. Speed and torque change with changes of this angle. Most motor problems are caused by improper fluid, poor maintenance, or improper operation. The motor is no different than any of the other components of the hydraulic system. Primarily, it must have clean fluid, in adequate supply, and of the proper quality and viscosity. A poor maintenance program runs a close second in causing major problems. Common problems stem from a failure to check and repair lines and connections to stop leaks as faulty connections can allow dirt and air into the system, lower pressure, and cause erratic operation. Finally, exceeding a motor’s operating limits promotes motor failure. Every motor has design limitations on pressure, speed, torque, displacement, load, and temperature. Excessive pressure can generate heat because of motor slippage and cause the motor to exceed torque limits. Excessive speed can heat and wear bearings and other internal parts. Excessive torque can cause fatigue and stress to bearings and the motor shaft, especially on applications that require frequent motor reversing. Excessive load can create bearing and shaft fatigue. And, excessive temperature can decrease efficiency because the oil becomes thinner and can produce rapid wear because of lack of lubrication.